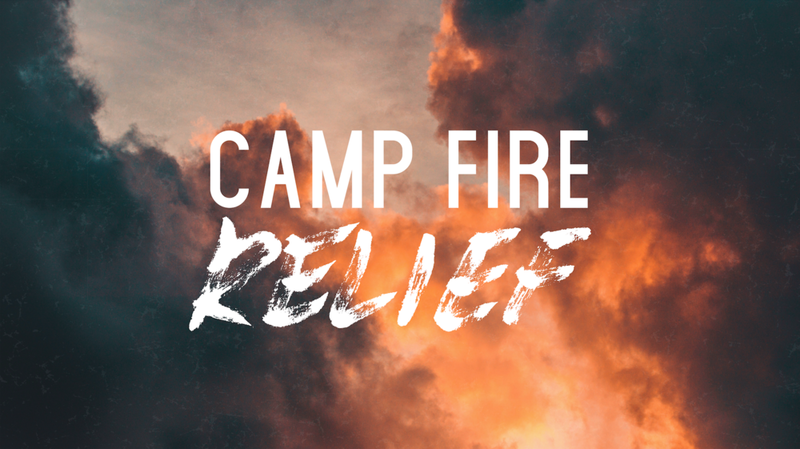 Earlier this week, as part of WestGate Church’s multi-phase plan to assist with the Camp Fire relief efforts, more than $20,000 in funds were donated to give emergency assistance to people affected by the most destructive fire in the history of the state of California. These funds were given to two organizations. The first was Convoy of Hope - a humanitarian organization that is currently providing survivors with emergency food, water and immediate basic supplies. WestGate Church also donated to Chico First Assembly, a sister church near ground zero of the fires that is one of the operating center hubs for relief efforts in the affected area. The following is a list of three ways you can tangibly help those affected transition back to normalcy. This list of items was compiled by relief workers and agencies in Chico, CA who are currently working with families and individuals affected by the Camp Fire. They represent the most pressing needs. Purchase a gift card from Safeway, Target, JC Penny, Amazon, Kohls or Walmart. Write the amount on the card itself, and drop it off. Relief organizations will distribute them to those in need. We’ll put your personal letter of encouragement with the gift cards that will be delivered to the victims of the fire. You can drop off Gift Cards and items purchased from our Wish List at our South Hills Campus Main Lobby on Monday, Nov. 19th from 9am-6pm and on Tuesday, Nov. 20th from 9am-7pm. If donations need to be coordinated outside of this time frame, please email compassion@westgatechurch.org. At this time, we are only accepting items specified on the Wish List. Please do not donate used or second-hand items, or items that are NOT on the Wish List.